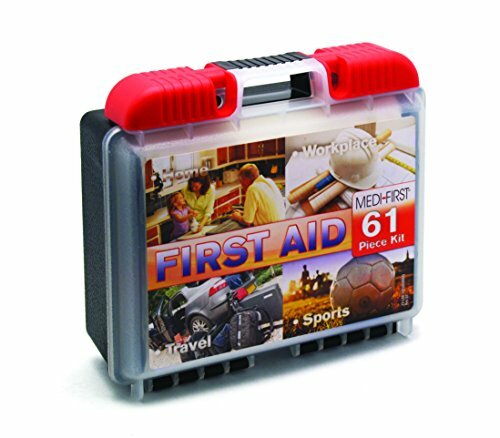 A good first aid kit is a must in all workshops, whether you're running a business out of a large yard or just pursuing your hobby in the spare room. A cut may seem insignificant at the time, but if it gets infected you could be out of action for weeks. In addition to these basics, try to get a first aid box big enough to store other items specific to the risks of your workplace and pursuits. If you regularly work outside, for example, you might want to include anti-histamine tablets and a snake bite kit (depending on your state), while for those surrounded by loud machinery, painkillers for headaches could be a sensible option. If you're setting up a kit for a business, it is not recommended to include painkillers, owing to allergies among your staff and colleagues that you may not be aware of. This is the ultimate kit for workshops and small businesses. It claims to exceed OSHA guidelines and has enough contents for 10 people. Similar kits are available for 50 or even 100 people. The 100 pieces are organised neatly into sections so you won't waste precious time trying to find what you're looking for. The case is portable or can be mounted on a wall. One thing I like about the company is that it started as a small family business and grew into the country's number 1. A great American success story! Contents include alcohol pads and antiseptic wipes, burn creams and cold packs, bandages and gauze pads of all sizes, and even some surgical gloves. There's no blanket and because there's an ice pack included you should try to store it somewhere that isn't too hot. A small, basic first aid kit that contains everything you're likely to need for basic treatment at home. This kit also contains useful, practical information, with all components clearly marked for their intended use, making it obvious what you need in any given circumstance. 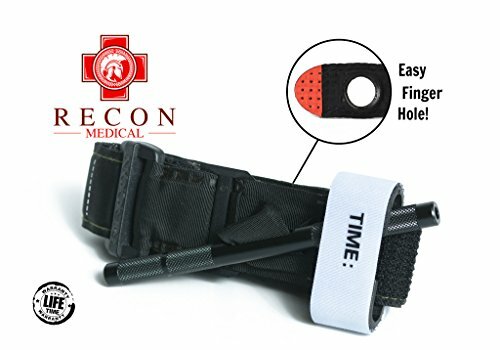 This is a comprehensive home first aid kit or one to keep in the trunk so you can attend to any small medical needs while on the road. All items in this kit - including the disposable gloves - are latex-free, making it ideal for those with allergies. Items included are quite small, which may impact on its practicality. 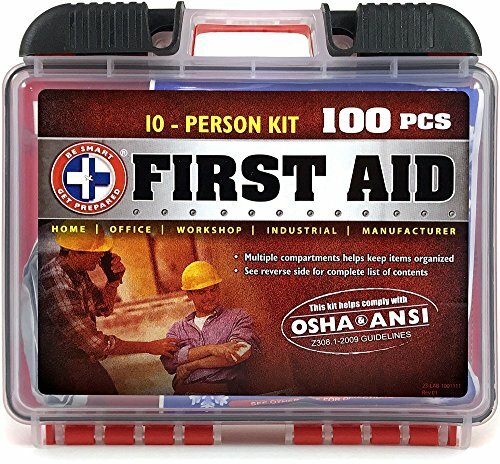 This is designed to provide a good, basic first aid kit for a workplace. It can then be accessorized with site-specific items related to your sector and materials used, plus the particular hazards in your locality. 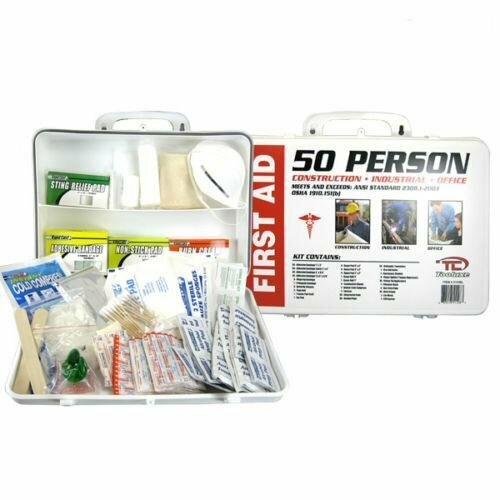 This first aid kit meets ANSI and OSHA standards, and includes an emergency blanket and eye wash, in addition to the more common items you'd expect to find. The first aid box can also be hung on the wall, so it is easily located by any employee. 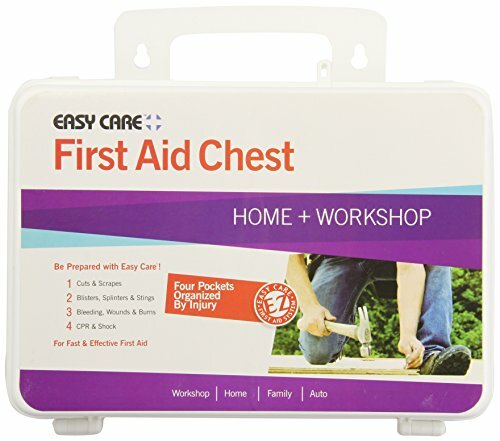 Stocked to provide basic first aid cover for up to 10 people, this kit is ideal for smaller workplaces. If things are busy, the fact that contents are loose inside the box (rather than compartmentalized) may feel frustrating, but it does allow the flexibility of adding other, relevant first aid items to the kit in order to tailor it to the needs and conditions of your workplace. This is a very basic kit, and you would be advised to add products to it. A great addition to any first aid kit, this is the best option for removing all splinters, but particularly smaller ones. It is important to note that this does NOT replace tweezers, which should always be part of a functional first aid kit. 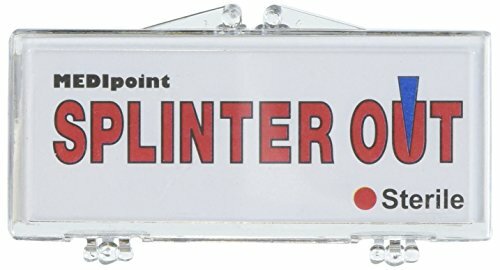 With 20 splinter removers included, which are designed to be safely disposed of after use, this is a good addition to a workplace first aid kit. This isn't the top-quality product you probably should buy if you can afford it, but it's CRAZY cheap and good to have. It'll help you stop bleeding in the case of a serious cut. Comes with gloves and an alcohol pack. The case is HUGE. 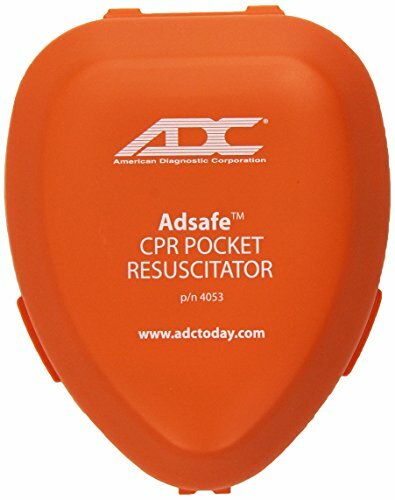 Basically, if you have to perform CPR on someone, this will allow you to do so safe from accidental bites or cross-contamination.